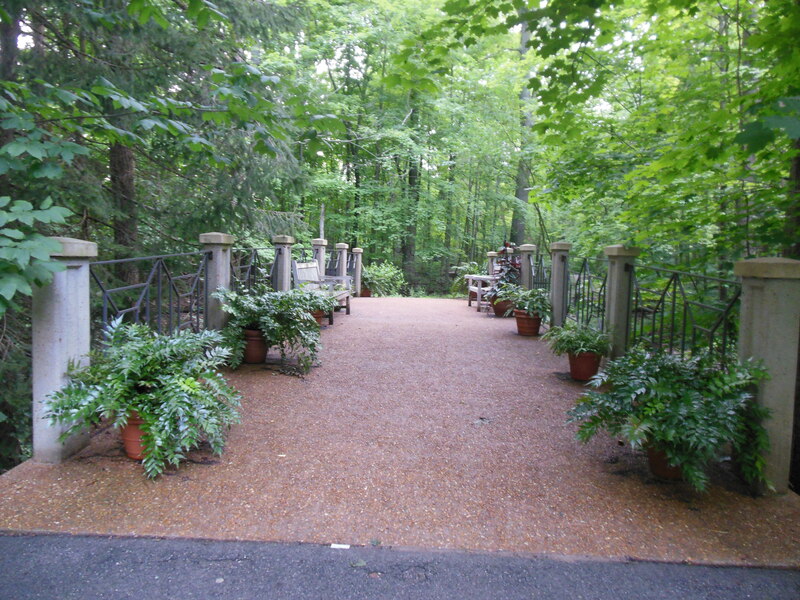 What Part of Inniswood Metro Gardens Would Grace and Mary Like? 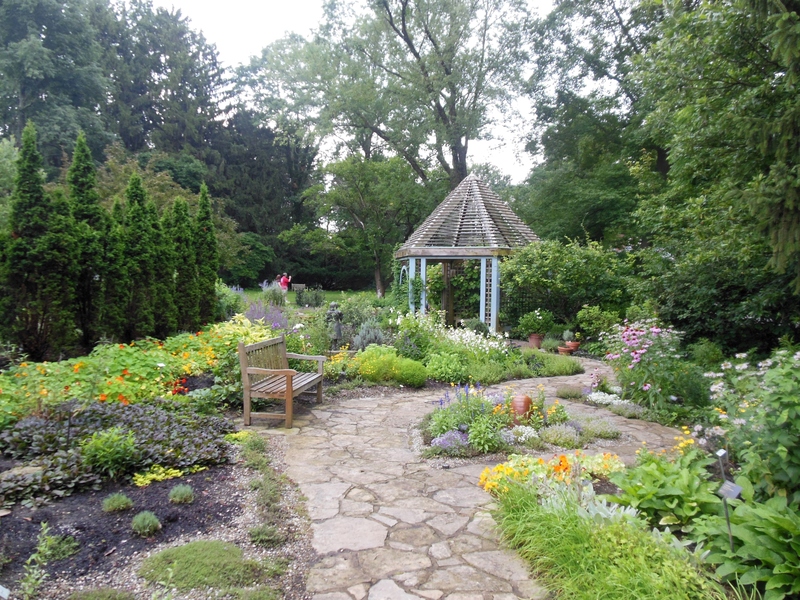 Whenever I spend a relaxing Sunday afternoon or weekday evening at Inniswood Metro Gardens, I think about my grandmother and how much she enjoyed visiting this lovely place. Located at 940 South Hempstead Road in Westerville, Inniswood was once was the 37-acre estate of Mary and Grace Innis. 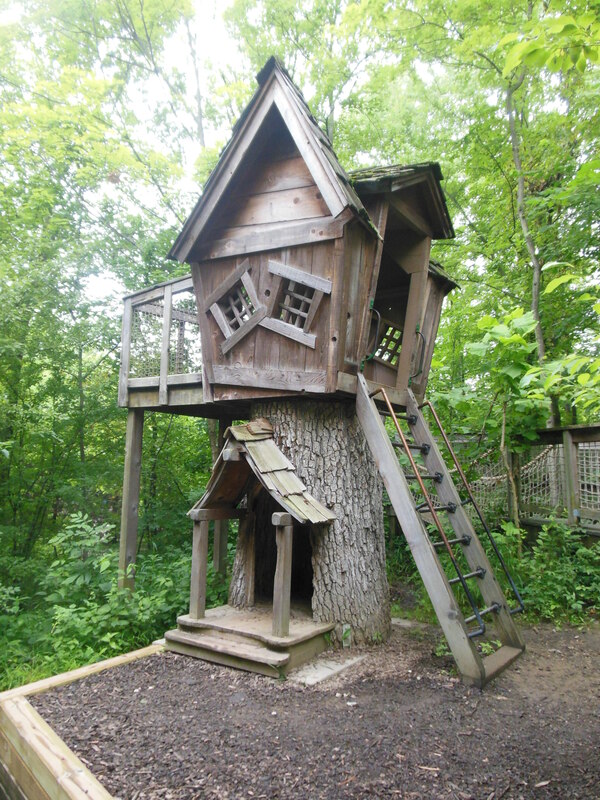 Their enjoyment of gardening and observing wildlife led them to donate their charming brick home and its tranquil surroundings to Franklin County Metro Parks in 1972. Subsequent land acquisition has made Inniswood a 121-acre nature preserve. 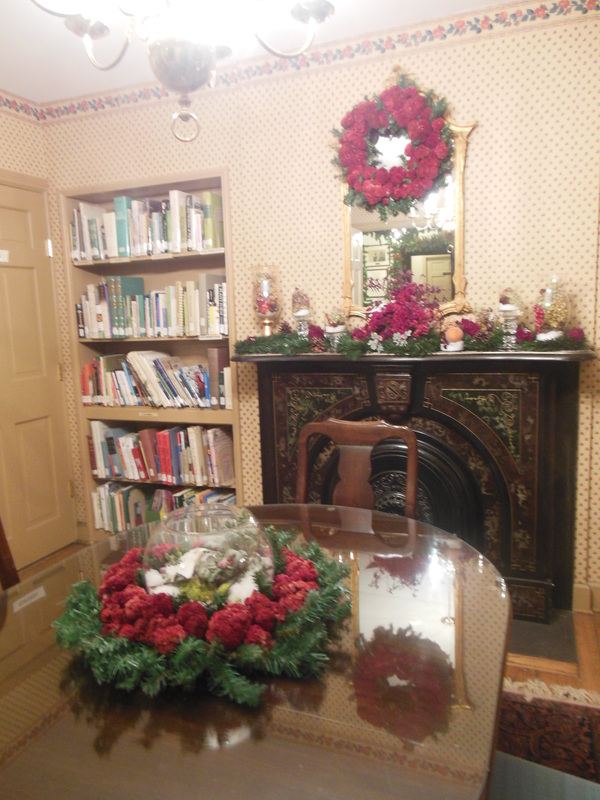 The sisters’ former home is the setting for staff offices, educational programs and art exhibits. Stand on the deck overlooking a thick forest of trees and you’ll spot a miniature garden railroad. When we’re not posing in front of the house I’d like to have as my own, I like browsing the shelves of the non-lending horticultural reference collection in the home’s library. 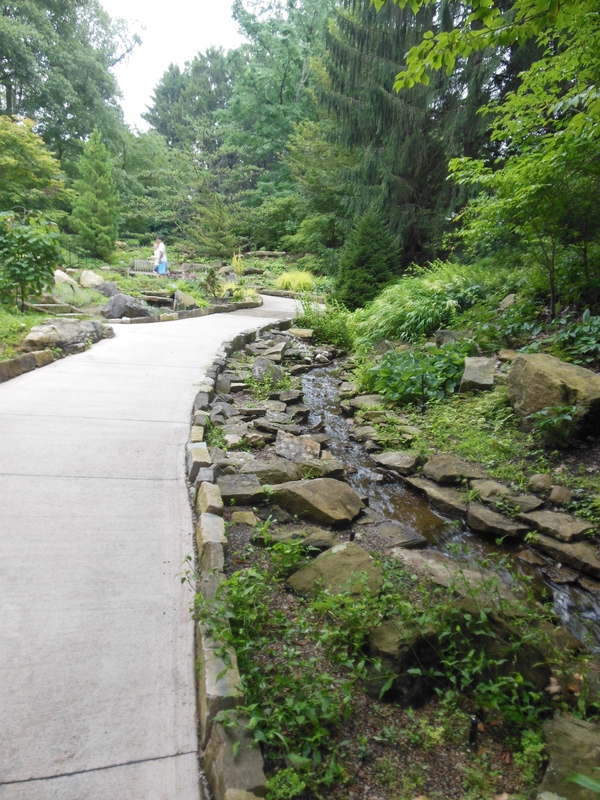 and paved pathways lead to landscaped, themed gardens populated with more than 2,000 species of plants. Peaceful shade gardens are complemented by a beautiful trellised rose garden. Walk through wisteria-laden arches to a knot garden, plantings of fragrant herbs, displays of colorful perennials and annuals, a bee garden, gazebos and fountains. Tall grasses and sunflowers abound in the Plains Garden. 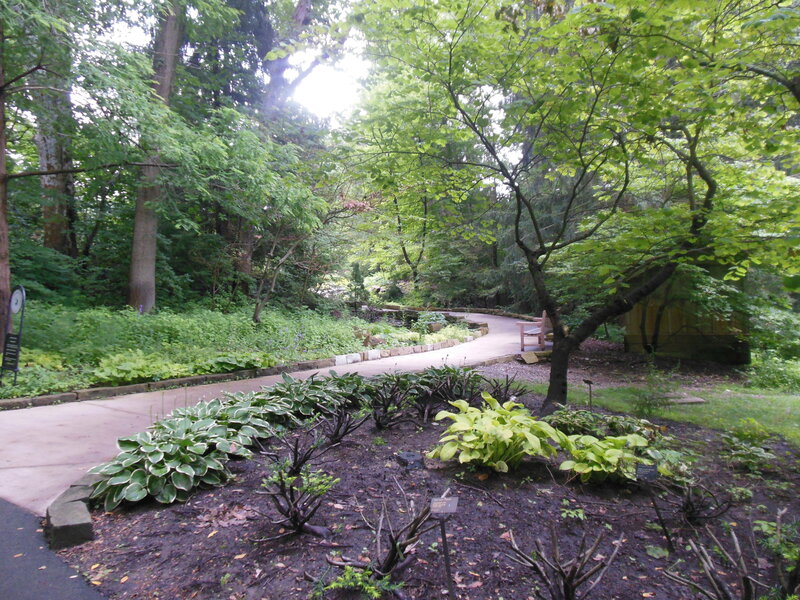 Conifers, ferns and hostas – including one bearing the park’s name — line the park’s walkways. A rock garden features a cascading waterfall that meanders past alpine and woodland plants. 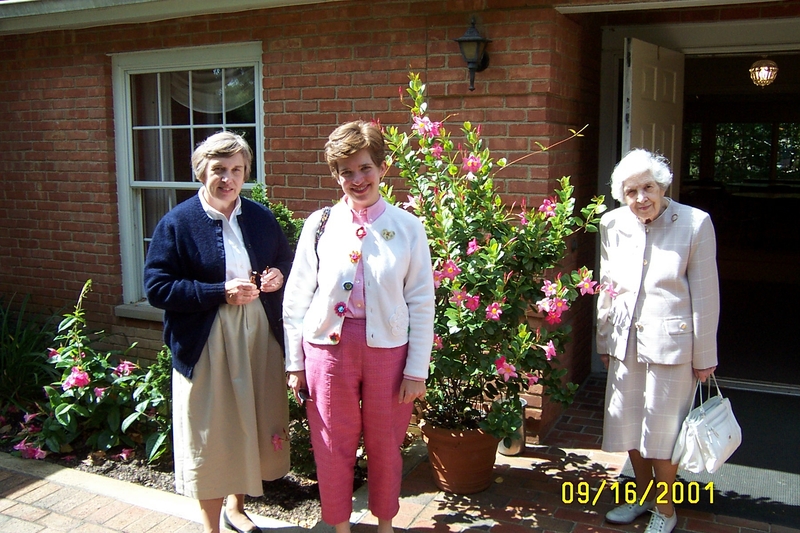 To honor the Innis sisters’ memory, Metro Parks opened the 2.8-acre Sisters’ Garden in 2002. 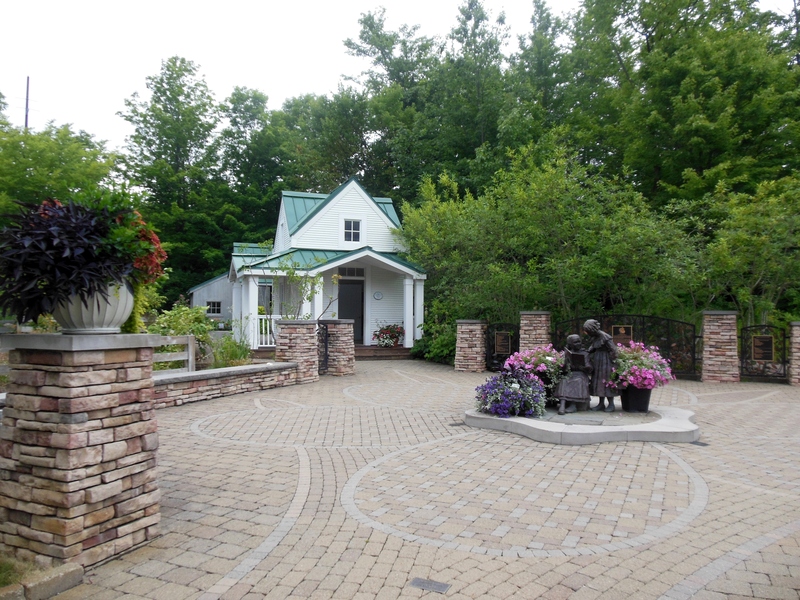 Beyond a bronze sculpture of the Innis sisters as girls, children can explore a miniature playhouse, barn, water wheel, windmill and fruit orchard. 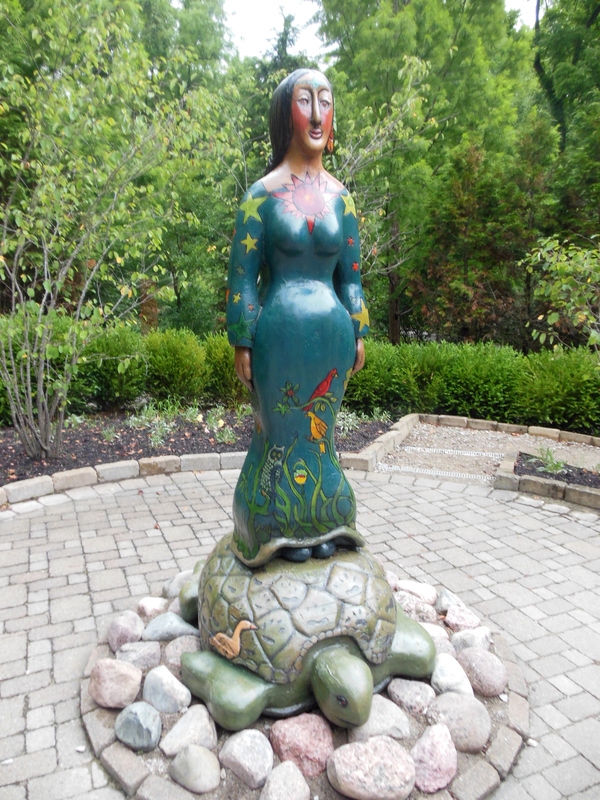 and a scenic overlook of a story maze depicting Earth on Turtle’s Back, a Native American story about creation. Throughout the year, Inniswood offers artwork displays, naturalist-guided walks, educational programs, musical concerts in the gardens, book discussions and other programs about horticulture and the natural sciences for children and adults. Visit http://www.inniswood.org for more information. This entry was posted in Columbus, Flowers, Gardens, Nature/Outdoors. Bookmark the permalink.